After seminary training at Nashotah House in Wisconsin, Dabney became an assistant priest in the diocese of Central Florida. He and his wife eventually moved to Trinity Episcopal in Lousiana where he was rector, but he has said that his return to Florida was a return to home. Bishop Dabney was consecrated as Bishop Coadjutor in 2007, and shortly thereafter, he became our Diocesan Bishop. His goals are clearly laid out for our diocese and we are privileged to serve under his guidance. 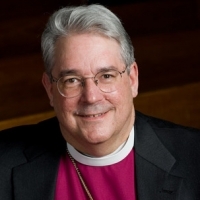 He is currently headquartered at the diocesan office located at the Dayspring Episcopal Conference Center in Ellenton.